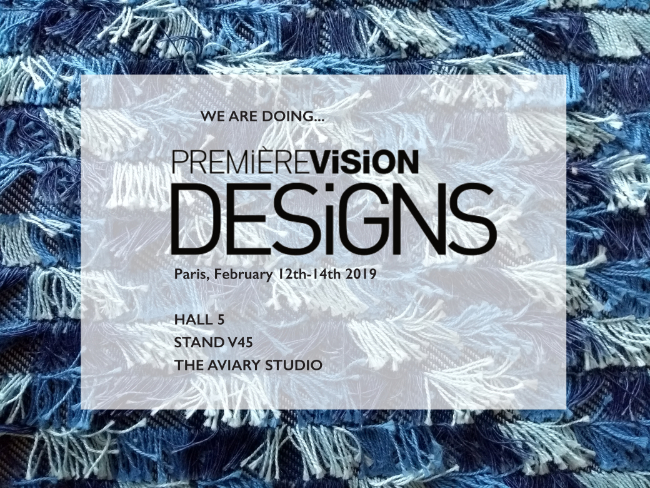 The Aviary Studio is a small hand weaving studio and design consultancy providing fabric ideas and development to the high street and high end fashion and interior markets. Striving to fulfil the constant demand for newness in an age where copying has become standard practice, The Aviary Studio's main aim is to inspire. ​Each season, extensive trend and materials research is gathered, interpreted and applied through the medium of hand weaving, in order to offer a collection of directional and relevant design ideas that are both inspiring and workable in equal measure. The Aviary Studio welcomes design development projects from clients wishing to develop fabric ideas, colour palette, and/or to produce small quantities of hand-woven fabric for runway, or for other projects. For more information, or to set up an appointment to view the collection, please see our contact page.